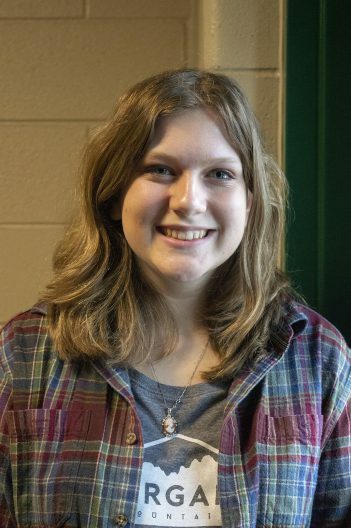 More than a dozen Noblesville High School student writers earned recognition at the 2019 state Scholastic Writing Awards. The Scholastic Art & Writing Awards is the nation’s largest, longest-running and most prestigious recognition program for creative teenagers in the visual and literary arts. Through the Scholastic Awards, teens in grades 7-12 from public, private, or home schools can apply in 29 categories of art and writing to earn scholarships and have their works exhibited and published. Nearly 350,000 works were submitted for the 2019 awards. Among the 16 students, NHS had the most Gold Key winners of any high school in central Indiana and established a new record for the district. Senior Abagail Hanson was named the overall Gold Key winner in the state. All Gold Key writings will now be judged at the national level. This year’s Scholastic Writing Awards winners are: Delaney Amsler, four Honorable Mention, two Silver Keys for poetry and short story; Gavin Cooley, Gold Key for short story; Oriana Fuenmayor, Silver Key for poetry; Abagail Hanson, four Gold Keys for portfolio, Silver Key, American Voices Award and State of Indiana Gold Key; Sam Jensen, Silver Key for poetry; Ellenor Karst, Gold Key for short story; Emily Klein, Honorable Mention for short story; Jasmeen Lally, Honorable Mention for short story; Isabelle Murfield, Silver Key for poetry; Riley Naughton, Silver Key for short story; William Ramey, Silver Key for short story; Aubrey Rudy, Silver Key for flash fiction; Aubrey Swart, Honorable Mention for short story; Jack Wanninger, two Honorable Mentions for poetry; Emily Whitcomb, Gold Key for journalism; and Trevor Zavac, Honorable Mention for humor.